You can frequently purchased Lego sets used for at least a 30% discount from retail. That’s a nice discount on any Lego set, but the savings becomes more significant for very large sets that can cost 400$ or more, and these large sets are rarely discounted in stores. Older sets which have been discontinued sell for a huge premium if they are unopened, so purchasing it used may be your only option. Also think about whether or not the set has stickers. I prefer not to apply stickers, so you might want to confirm that they were not applied, or confirm they were applied correctly before buying a set. 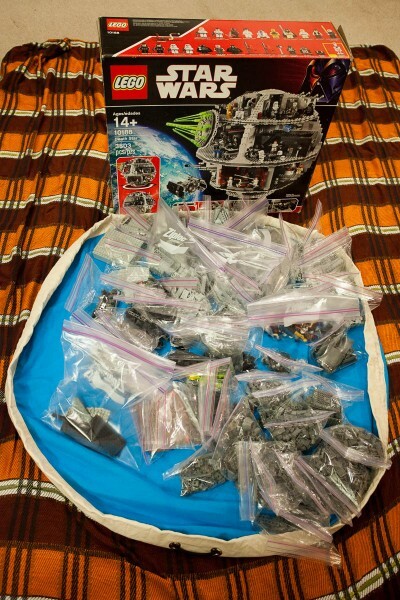 I purchased a used Death Star set this weekend for a nice discount from MSRP, but the set came pre-assembled. I’ve described my process for breaking the model down and preparing to build it again. 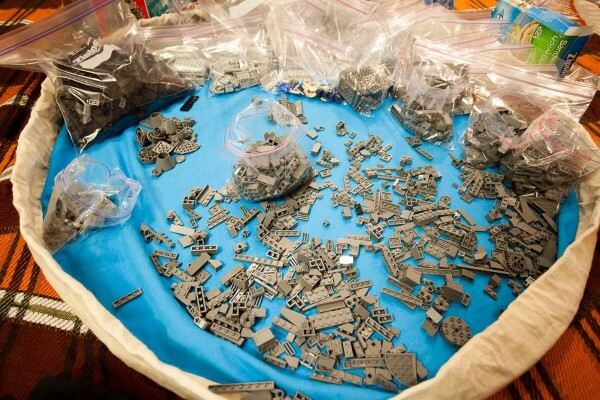 After disassembling and sorting by color, I had 3 gallons of light gray bricks, 1 gallon of dark grey and several quart-sized bags containing accent colors. Completely disassembled with bricks sorted by color and type. 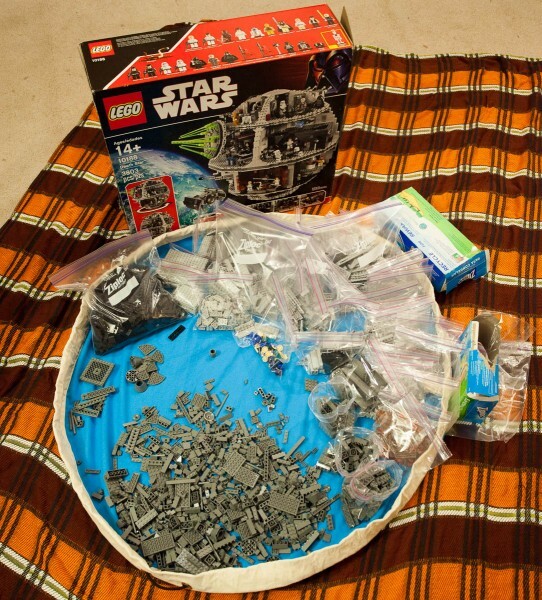 I’m planning to finish my 30-day challenge before rebuilding the Death Star, so I will set my many bags of bricks aside for now.